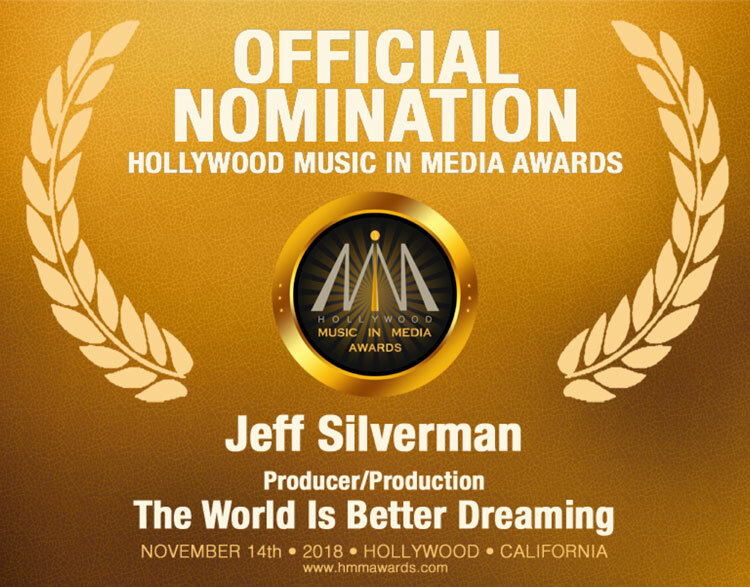 I’m VERY honored to have JUST received a Producer/Production nomination from the HOLLYWOOD MUSIC IN MEDIA AWARDS for “THE WORLD IS BETTER DREAMING.” Congratulations to all other nominees to date as well! This song was written, produced and dedicated to my Mum, Barbara L. Silverman. Dec. 28, 1926 – July 31, 2011. Her place of peace was and will always be in her dreams.